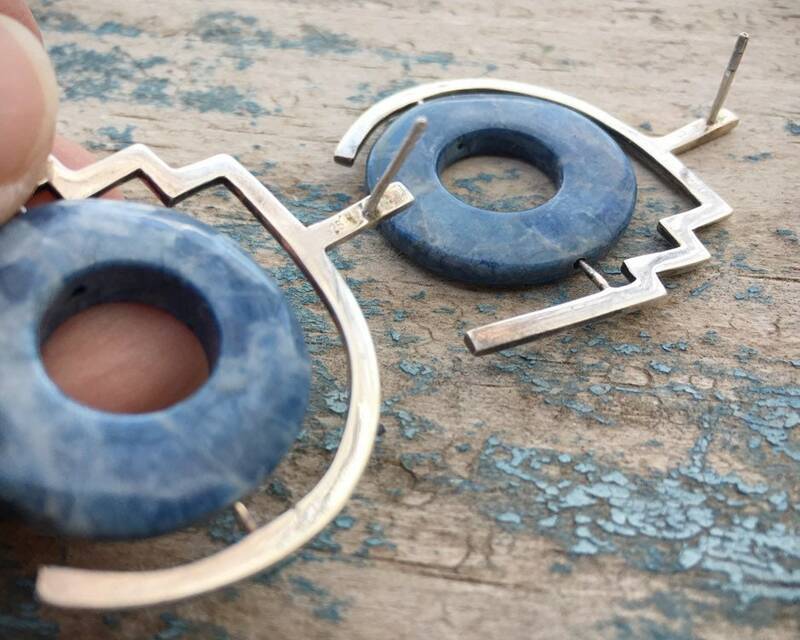 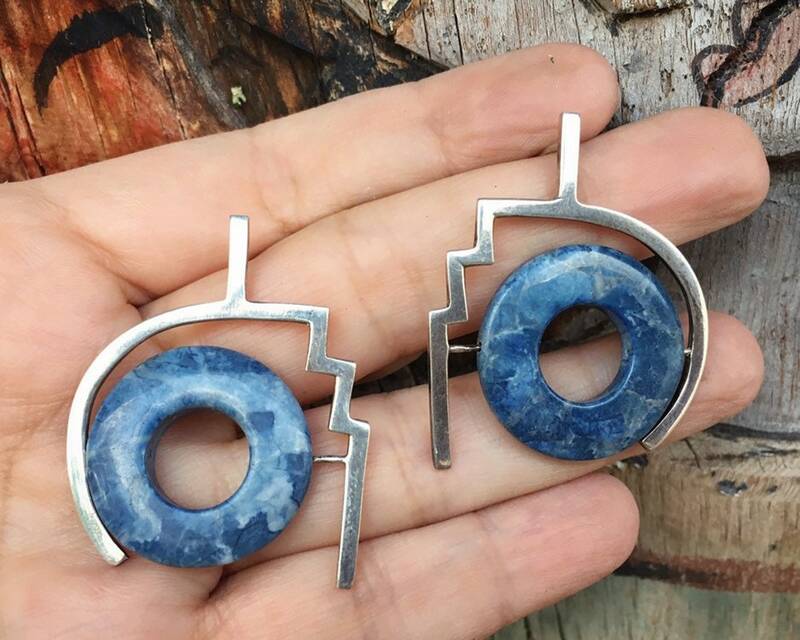 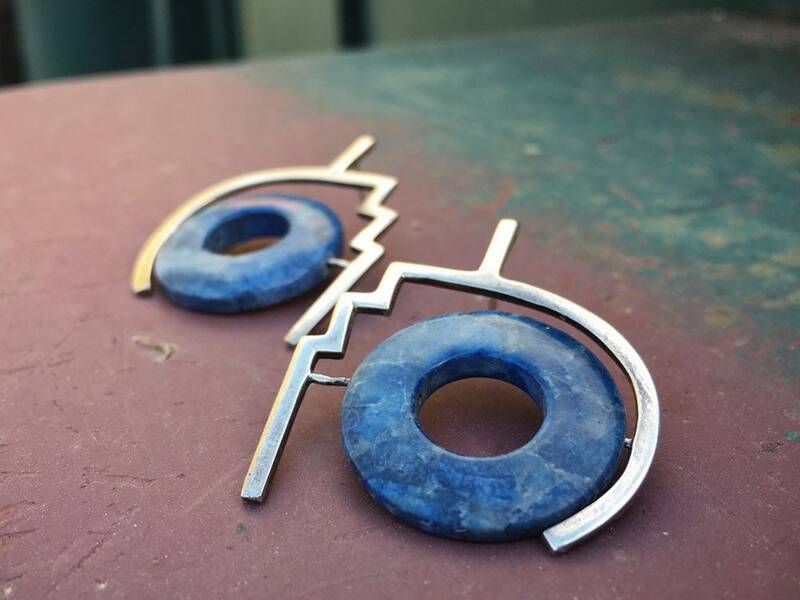 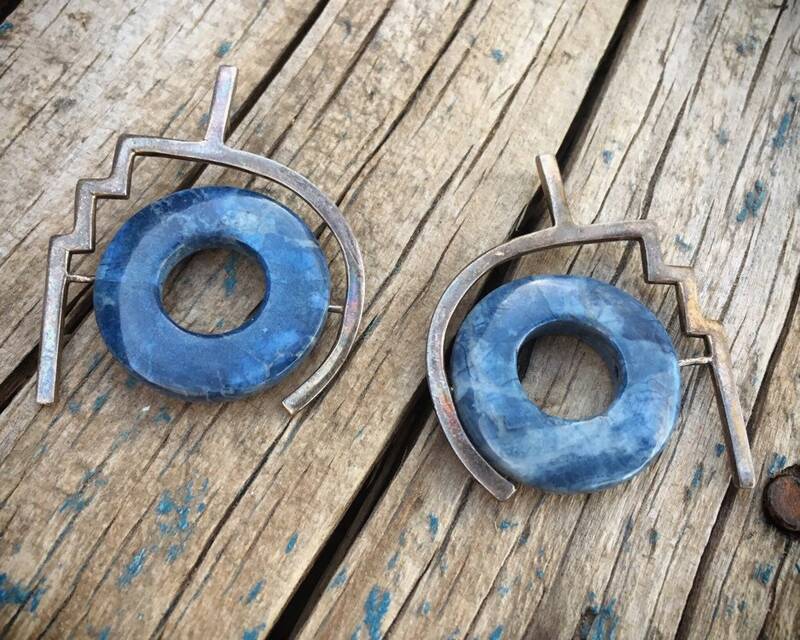 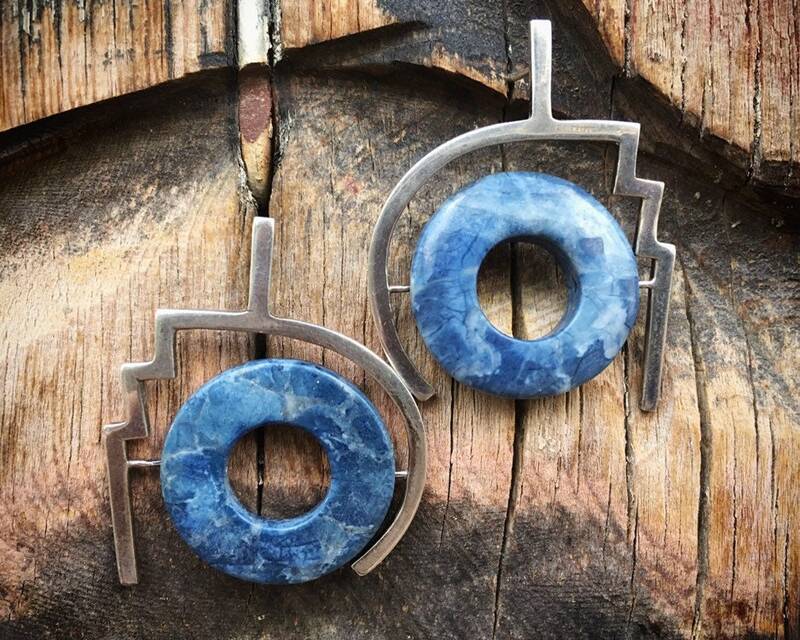 These earrings are fun and striking, with an articulating denim lapis circle set inside a modernist sterling silver frame. 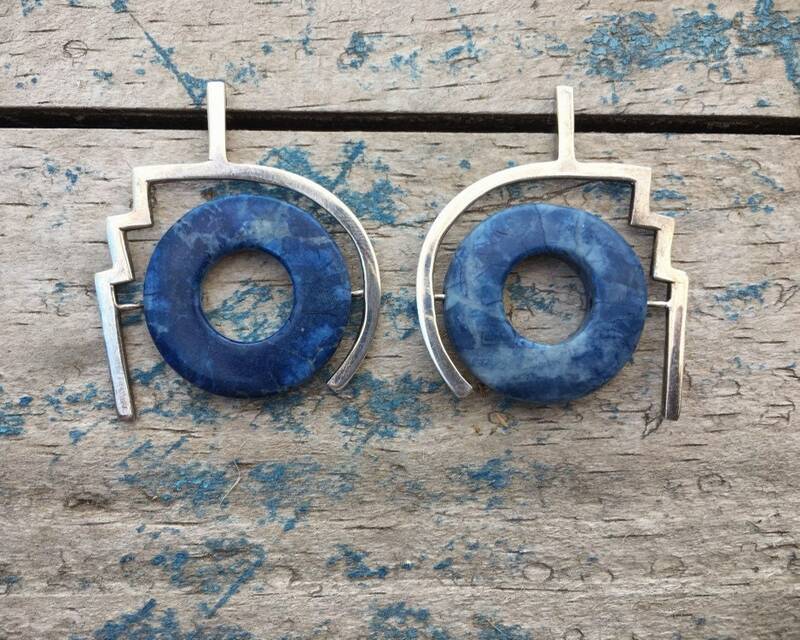 The lapis is light in color relative to the standard deep blue, and this lighter color looks wonderful with denim jeans. 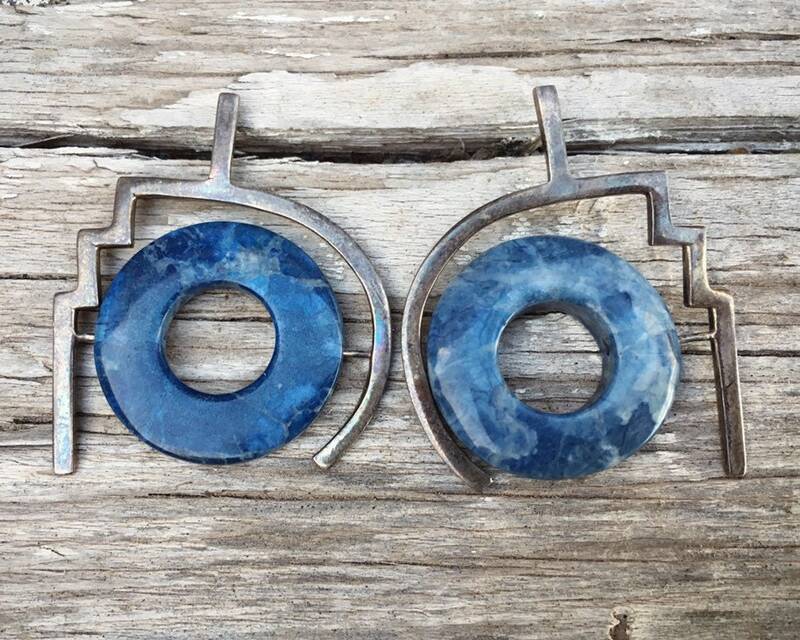 They are late 1980s, which we know from the estate from which purchased. 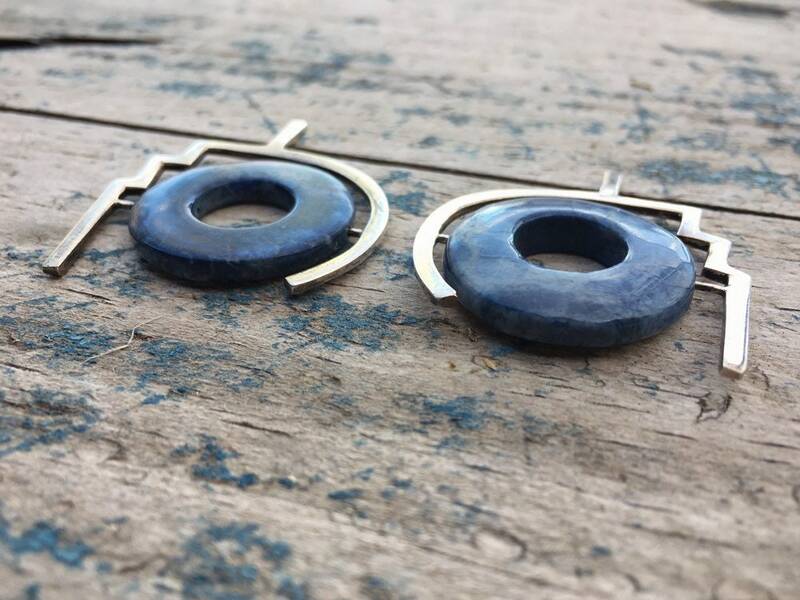 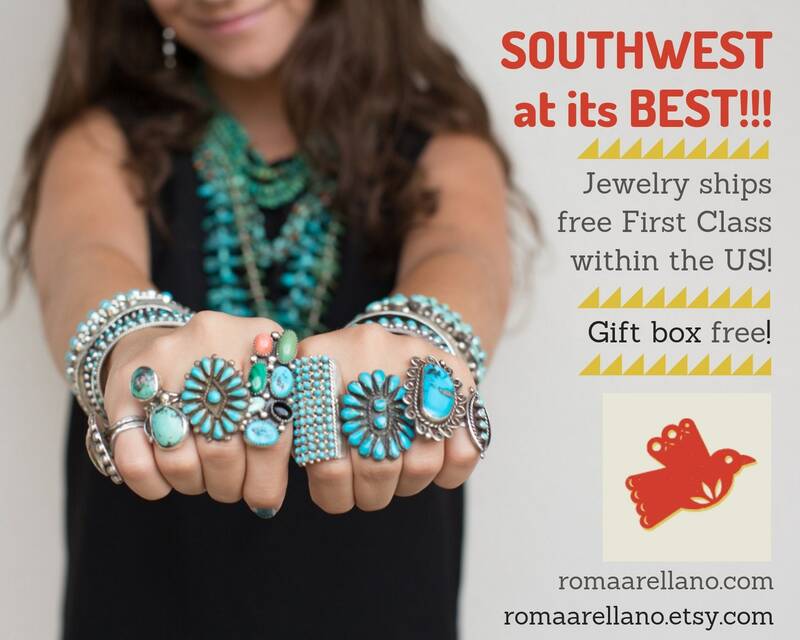 The earrings measure 1-3/4″ long by 1-1/4" wide at the widest point. 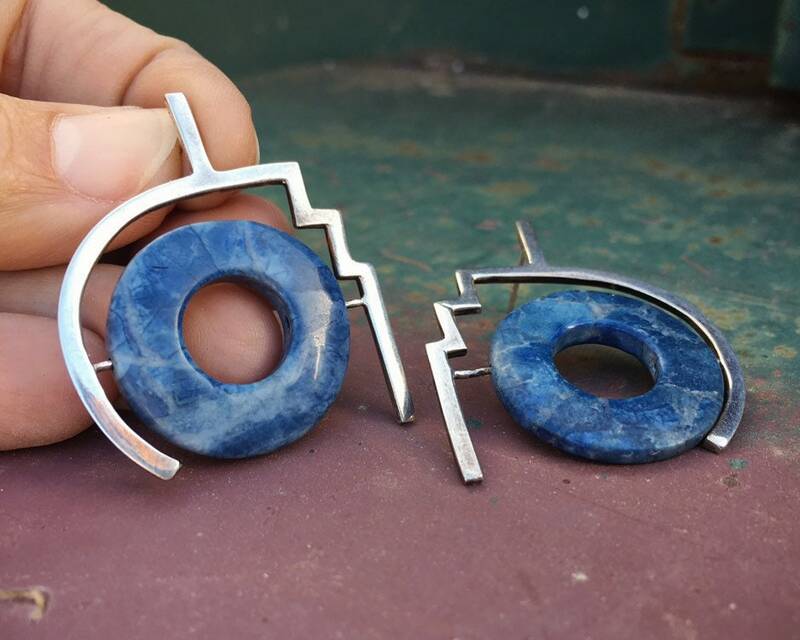 Some tarnish and scratches on the silver but otherwise in good condition.